A U.S. jury on Tuesday ordered Toyota Motor Corp to pay nearly $11 million after finding that an accelerator defect in a 1996 Camry was at fault for a 2006 fatal car crash in Minnesota. Following a three-week trial, jurors in Minnesota federal court deliberated for four days before finding Toyota 60 percent liable for the crash, according to plaintiffs’ lawyers. Koua Fong Lee, the Camry’s driver, was found 40 percent responsible, according to lawyers. The plaintiffs said that the crash was caused by a defect in the Camry’s accelerator that caused it to become stuck, and the brakes failed to work. Toyota denied that the car was at fault, and said the driver had been negligent. 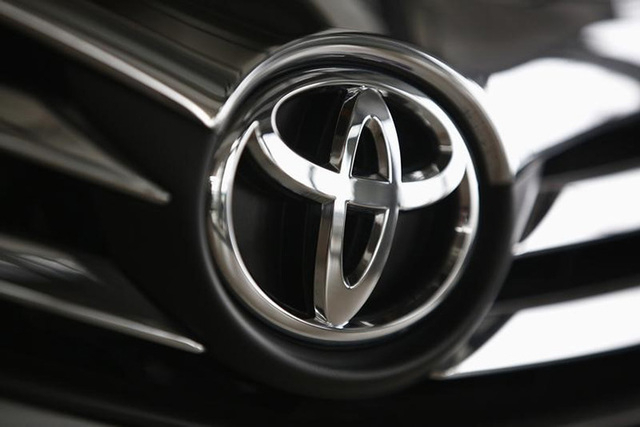 A spokeswoman for Toyota, Amanda Rice, said it was weighing its legal options. The car in the accident was not covered by Toyota’s recall of more than 10 million vehicles between 2009 and 2010 over acceleration issues. The Minnesota trial stemmed from a lawsuit filed on behalf of passengers injured or killed in a 2006 crash in St. Paul, Minnesota. Lee, who later joined the suit, said he was driving his 1996 Toyota Camry when it inexplicably began to accelerate as he approached other vehicles stopped at an intersection, according to court filings. The Camry slammed into an Oldsmobile Ciera, killing the driver, Javis Trice-Adams Sr., as well as his 9-year old son, according to the 2010 lawsuit. A 6-year old girl who was also in the car was paralyzed and later died. Two other passengers were seriously injured, according to the lawsuit. Lee was charged in connection with the crash and served nearly three years in prison for vehicular homicide, according to his lawyer, Robert Hilliard. In 2010, when reports of unintended acceleration in other Toyota vehicles surfaced, Lee won a motion to set aside his conviction, and he was released from prison. Bill Markovits, a lawyer for the estate of the 6-year old girl and one of the injured passengers, said that his clients felt vindicated by the jury verdict. A lawyer for other passengers of the Ciera could not immediately be reached for comment. Hilliard said that while Lee would not be able to regain the years he spent in prison, he was glad that the jury had rejected Toyota’s attempts to lay the blame entirely on him.